Rock & Metal 4 You: CD-Review: Dark Moor - "Ars Musica"
Symphonic Metal fans have a reason to celebrate: the Spanish Symphonic Power Metalers of Dark Moor are about to release their 9th album in two weeks and I must confess that I've never heard of this band before ... but the beautiful cover artwork of their new record "Ars Musica" aroused my interest, as well as the many positive reactions to their new material. So, I didn't really know what to expect, but often this is a good sign, because I often experience great surprises if I can listen to something without any expectations. ... and yes what should I say? "Ars Musica" is again one of those albums, which I didn't have under my radar and which totally blew my mind in the end. On "Ars Musica" everything is all about atmosphere - I rarely experienced such an amazing atmosphere, which is so compact and mysterious. Floating melodies and beautiful harmonies ensure that you can drift away from your daily problems while listening. This album hasn't a conceptional story, but if you close your eyes, you think you are sitting in a theatre, watching a muscial about a fairytale. This is due to the stunning arrangements and orchestration. Classic, operatic parts alternate with heavy guitar riffs in each song. Another trademark seems to be a female voice in the choruses. Everything is played very well by a really tight rythm section and is refined by the fantastic voice of singer Alfred Romero, who reminds me a bit at Roy Khan, the former singer of Kamelot. All this is presented in a perfect production, which takes the bombastic feeling to another level. Wow, I have to repeat it again: what a stunning atmosphere. 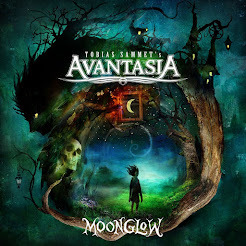 When it comes to this kind of epic feeling, Dark Moor even beat the last Avantasia record. Yes, sometimes you think you would listen to a metal opera. Actually I could finish this review now, because everything I said above fits to almost every single song on this album, but ok let's have a deeper look at the record: the album starts with an intro, which seems to be typical for symphonic metal bands. The real opener "First Lance Of Spain" is a very catchy power metal song. Perfect tune to sing along, which leaves you hungry for more. The following tracks "It Is My Way", "The Road Again" and "Togehter As Ever" are pure epic bliss: fantastic orchestrations, dreamy melodies and vocal harmonies, which are out of this world - refined by stunning guitar solos of Enrik Garcia. "The City Of Peace" is at least as god as the previous songs. Dark Moor add some wind instruments here. I haven't heard such a mixture before. What follows is a true killer ballad: "Gara And Jonay" - one of the best ballads I heard in years! I had goosebumps all over me and I hoped this song would never end - pure magic. "Living In A Nightmare" is a realy good contrast to the previous song: this one is a very theatrical power metal song and the melodie really haunts you. The following song "El Ultimo Rey" is sung in Spanish and this fits perfectly, because it makes the song sound more dramatic. "Saint James Way" is another really catchy symphonic metal hymn, which will stuck in your head for a very long time. After all this amazing stuff, I've also some negative things to say. What bothers me the most is the fact, that we get just 9 songs here with vocal performance. I'm not a big fan of instrumental songs. These include the intro "Ars Musica", "Spanish Suite" and the orchestral version of "Living In A Nightmare". This is a bit too much for me. The intro is ok and short, but personally I don't need the other two instrumental songs, which have a playtime up to 10 minutes. The orchestral version of "Living In A Nightmare" seems to be some kind of bonus track as well as the acoustic version of "The Road Again". And also here I can say, that I don't need the same song twice on an album. For a single it would be ok, but on an album I like to have a totally different unreleased bounstrack or something like that. It seems like Dark Moor hadn't some good ideas anymore. That leads to the fact that the second half of "Ars Musica" is a bit weaker than the first half. Imagine they would have put three more killer tracks on this album and not instrumental/acoustic versions. So you see I'm a bit disappointed from the last three tracks, but the other nine songs are so damn strong and the overall package with its fantastic atmosphere is so stunning that I still give "Ars Musica" a score from 9 out of ten points. "Ars Musica" is pure perfectionism and much better than the latest releases from Nightwish, Epica, Kamelot and other Symphonic Power Metal bands. This is a must-buy for lovers of Smyphonic Metal, Power Metal or Melodic Metal in general - with "Ars Musica" Dark Moor deliver a truly stunning piece of art. Great job!